How durable does the timber need to be for my project? Is the timber species naturally durable? If not, has it been pressure-treated to the right Use Class? Has my supplier given me documentary evidence to prove it? Have I treated any cut or notched timber? How naturally durable are timber species? Many hardwood species are naturally durable and can be used outdoors untreated, but they are expensive and supplies of certified timber are limited. European oak has been re-classified as Durability Class 2-4; if you are using it outdoors, make sure it meets Durability Class 2-3. Some softwoods are relatively durable, but most will need preservative pressure-treatment if used outdoors or in humid conditions. They are inexpensive, and certified supplies are plentiful. Modified timbers, such as Accoya™, provide durability with sustainability, but are expensive and may need specialist stainless steel fixings. floors not built into solid external walls. 2 Internal: occasional wetting Tiling battens; frame timbers in timber frame houses; timber in pitched roofs with high condensation risk; timbers in flat roofs; ground floor joists; sole plates (above dpc); timber joists in upper floors built into external walls. 3c (coated) External: out of ground, frequent wetting External joinery; roof soffits, fascias and bargeboards; cladding, valley gutter timbers; external load bearing timbers. landscaping and decking timbers not in contact with the ground. 4 External: in permanent ground or water contact Fence and deck post; gravel boards; agricultural timbers in soil; earthretaining walls; poles; sleepers, playground equipment; lock gates; jetties and boardwalk support. 5 External: in permanent ground or water contact Marine piling, piers and jetties, dock gates, sea defences, ships hulls. What’s the right treatment Use Class for the job? 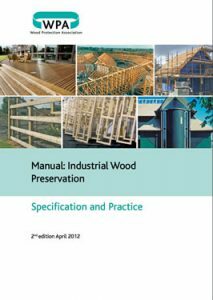 Ask your supplier whether the timber has been treated appropriately for its end use. Timbers destined for Use Class 4 situations will be permanently exposed to wetting in either ground or fresh water contact. For optimum durability it is important to ensure the correct specification has been used. 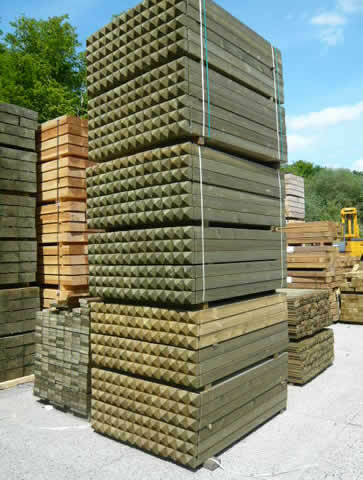 Make sure you ask for timber treated to Use Class 4. The chemicals used in wood preservatives comply with current EU regulations. They contain specifically targeted biocides designed to present a minimum hazard to the wider environment. 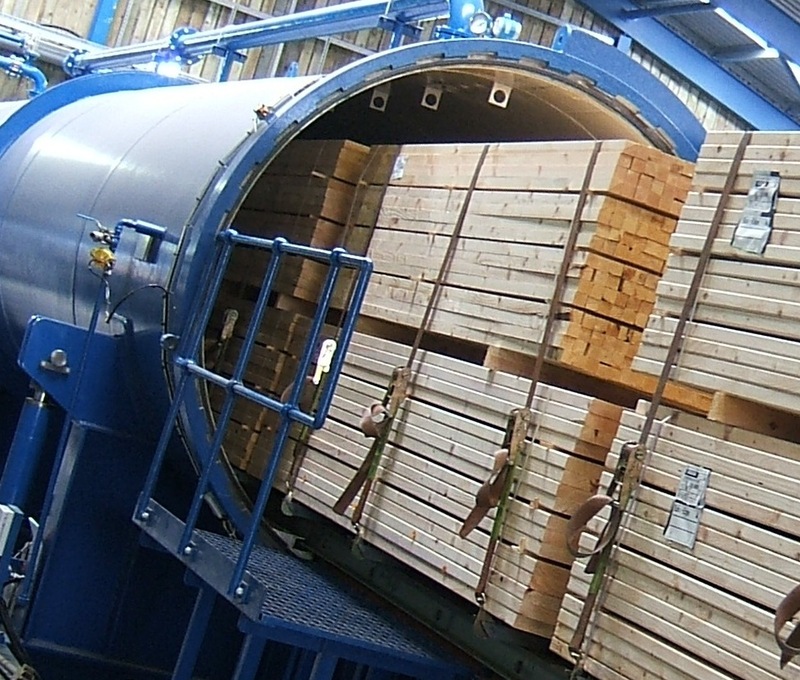 There are two main types of pre-treatment process, both carried out by timber suppliers, merchants or joinery companies in enclosed and strictly controlled industrial vessels. Suitable for the full range of end uses, but particularly for external applications. Both in and out of ground contact, it provides a 15 to 60-year service life. The preservative is forced deep into the cellular structure of the timber, typically giving a green tint. 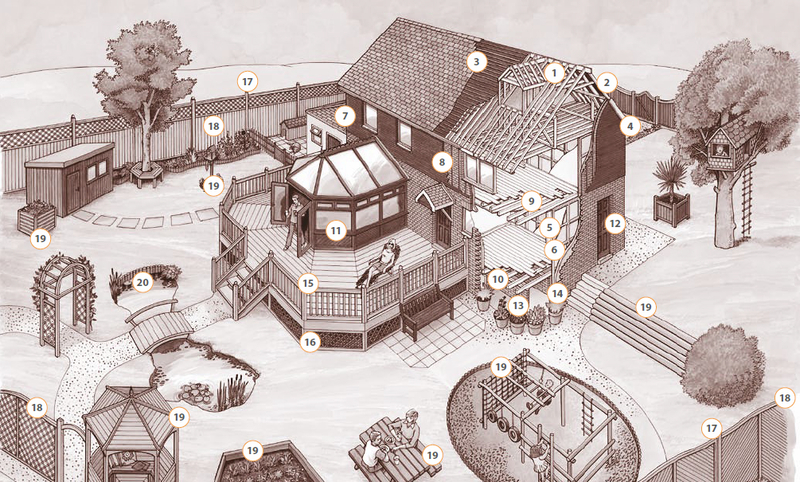 Additives can give either a rich brown colour, usually for fencing and landscaping timbers, or extra water repellency for decorative external timbers, such as decking and cladding timbers. Used for building and joinery timbers in Use Classes 1, 2 and 3c to deliver a 30 to 60-year service life. Treatment provides an effective ‘envelope’ protection around the timber and leaves the colour virtually unchanged. A colour indicator, as well as waterrepellency, can be added to the treatment if required.